Steve Morsa filed a patent infringement lawsuit yesterday against social networking giant Facebook regarding its “Facebook Ads” advertising services. 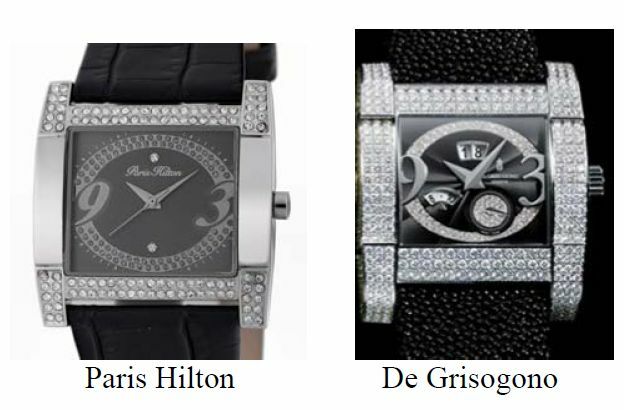 Morsa alleges he is the inventor and owner of two U.S. 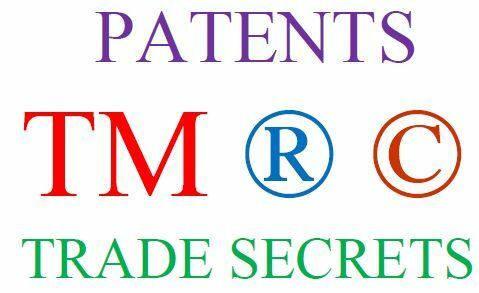 Patents, i.e. 7,904,337 and 8,341,020, both entitled “Match Engine Marketing.” The patents generally cover a computer system and method for presenting advertisements based on the user’s geographic location and interaction with a website, and matching the user’s conduct with criteria selected by advertisers. 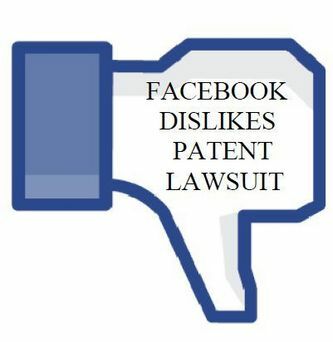 In July of 2010, while his patent applications were pending at the Patent Office, Morsa claims to have contacted Facebook, including Mark Zuckerberg, and advised them that Facebook’s advertising platforms are covered by Morsa’s intellectual property rights in the ‘337 patent. Morsa received no response to his cease and desist letter or his other letters informing Facebook of his start-up company and seeking a business arrangement. Freed Designs has filed a patent infringement lawsuit against gun manufacturer Sig Sauer alleging infringement of U.S. Patent No. 6,928,764, titled Grip Extender For Handgun. Freed Designs contends that Sig Sauer has infringed its patent by making and selling magazine extenders covered by one or more of the patent’s claims, including magazine extenders for Sig Sauer models P238, P938, and P290. 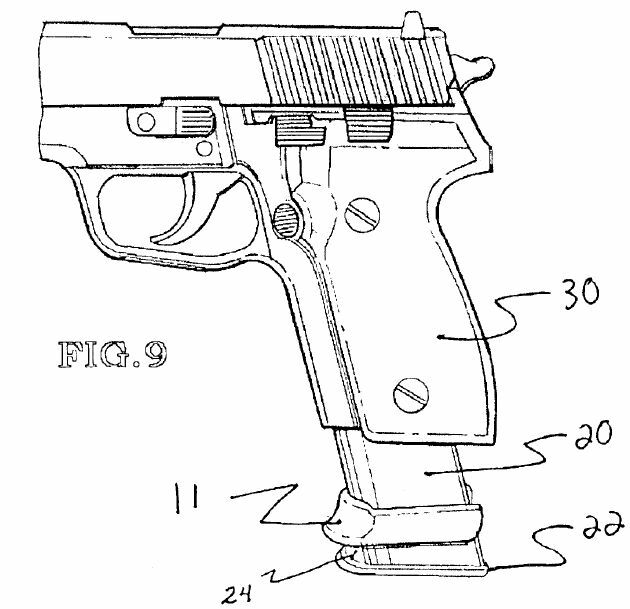 Freed Designs’ patent covers a grip extender (reference numeral 11 to the right) invention that has a collar configuration so that the bullet magazine can be inserted through the grip extender and locked into the handgun. The bottom portion of the magazine firmly engages the grip extender and is locked into place once the magazine attaches to the handgun. The lower portion of the grip extender is also contoured to provide a comfortable grip for the hand of the user. In its description of one preferred embodiment, the inventor reveals that the grip extender can be made of any hard plastic and easily molded in a single piece. 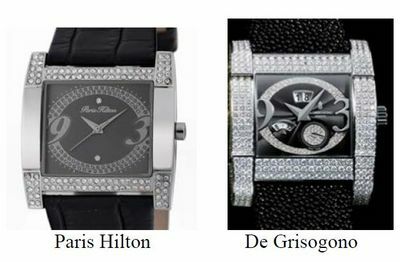 Freed Designs seeks unspecified monetary damages, but it contends that it is entitled to “damages adequate to compensate for this infringement in an amount no less than a reasonable royalty, together with interest and costs” as provided by 35 U.S.C. § 284. Plaintiff also seeks preliminary and permanent injunctions prohibiting Sig Sauer’s further infringement of the grip extender patent. Yogitoes LLC is a Los Angeles based developer of yoga related inventions, including Skidless® yoga mats and absorbent yoga towels and mats. 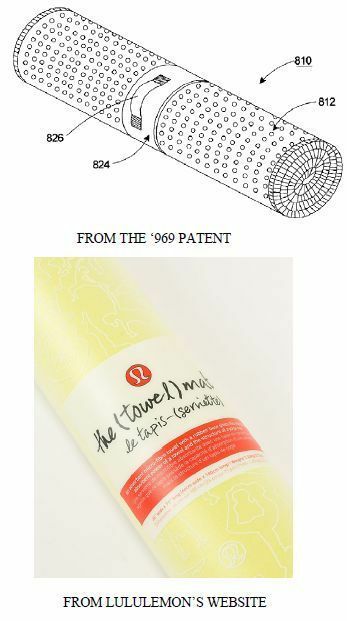 Yogitoes is the owner of U.S. Patent No. 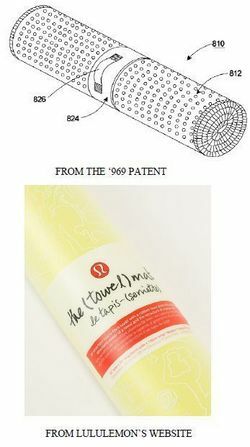 6,961,969 (“the ‘969 Patent”) for an invention titled “Absorbent Towel With Projections.” Yogitoes’ patent covers a mat or towel with a liquid-absorbing base created with projections, which projections are made of a material to increase the gripping quality to stop the mat/towel from skidding on the floor. 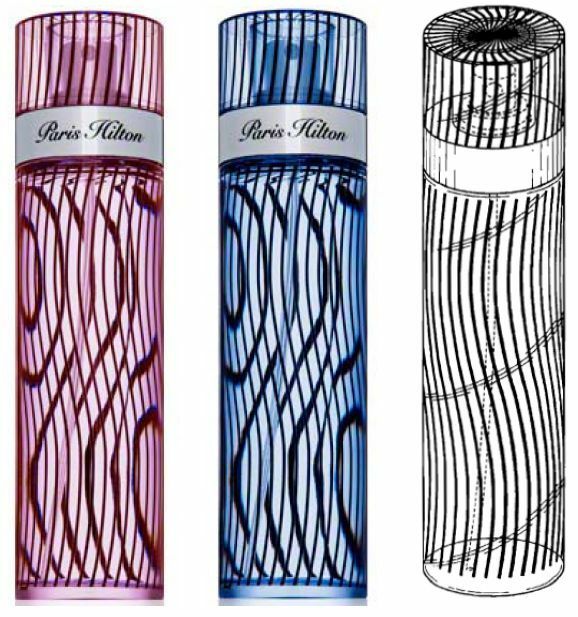 The patent also covers the process of making a mat/towel with these qualities. Jewelry designer Sonya Frisina does business as Sonya Ooten and has a retail store in Los Angeles. 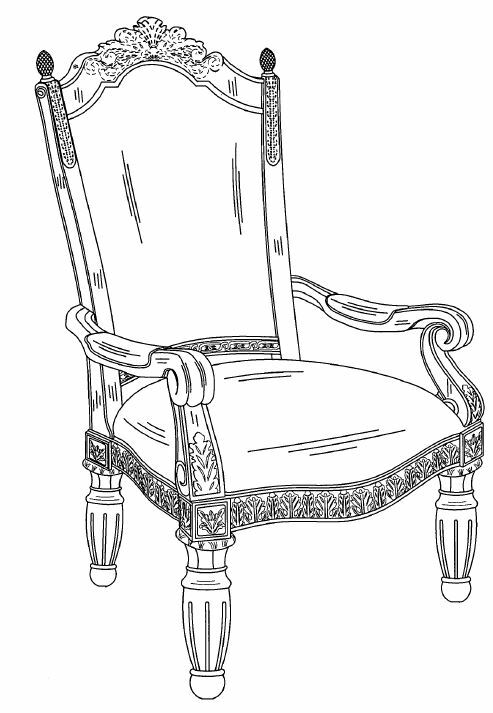 Ooten owns U.S. Design Patent No. D544,389, titled “Metal Crochet Earring,” covering the ornamental jewelry design. There is often overlap with different forms of intellectual property and Ootent, to maximize protection, also registered the “Cosmos” earring design with the U.S. Copyright Office. 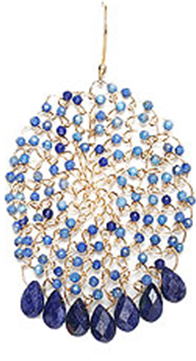 Ooten alleges that Soixante Neuf’s “Oval Woven Beaded Earrings” infringe both its design patent and copyright. 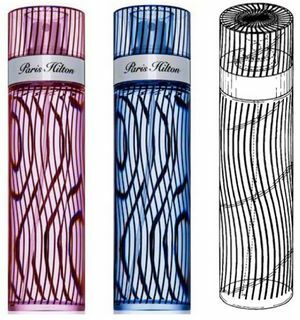 To prove design patent infringement, Ooten must meet both the ordinary observer test and points of novelty test. The design as a whole is examined in the ordinary observer test and the individual elements of the design are examined in the points of novelty test. 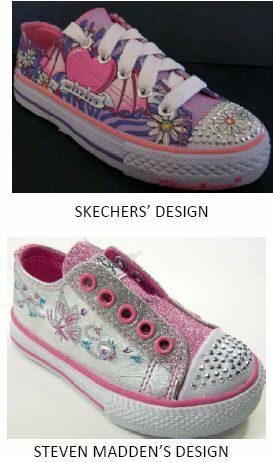 To prove copyright infringement, unlike design patent infringement, Ooten must show that Soixante Neuf had access to Ooten’s design and copied it. 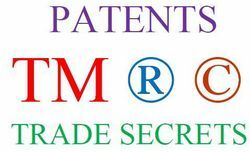 Also, unlike utility patents, a successful design patent plaintiff can recover the infringer’s profits, plaintiff’s lost profits, or a combination of lost profits and reasonable royalty. The case is Sonya Frisina v. Soixane Neuf, Inc. et al., CV11-5705 VBF (C.D. Cal. 2011).